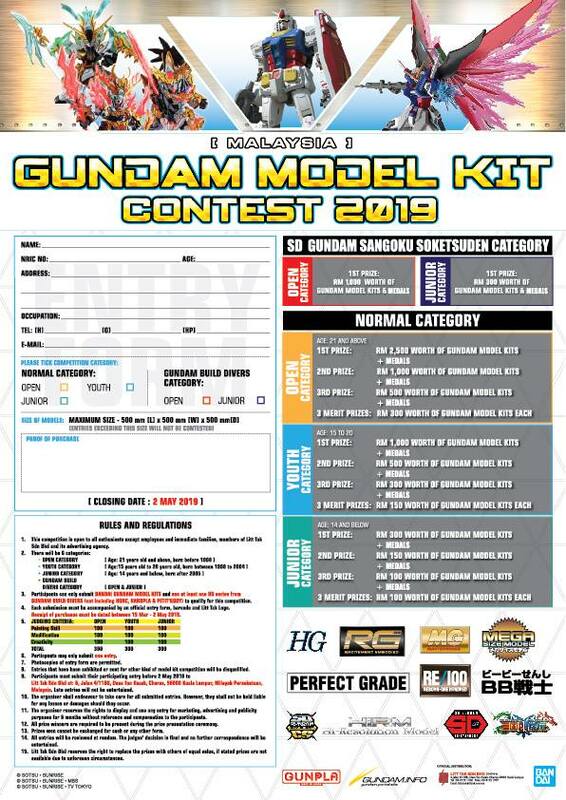 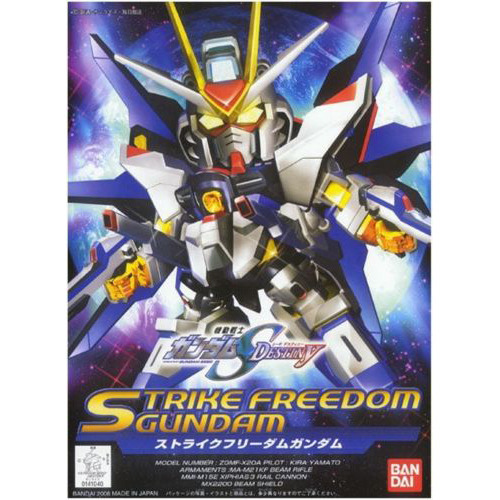 BB-288 Strike Freedom Gundam Simple instruction included in a box. 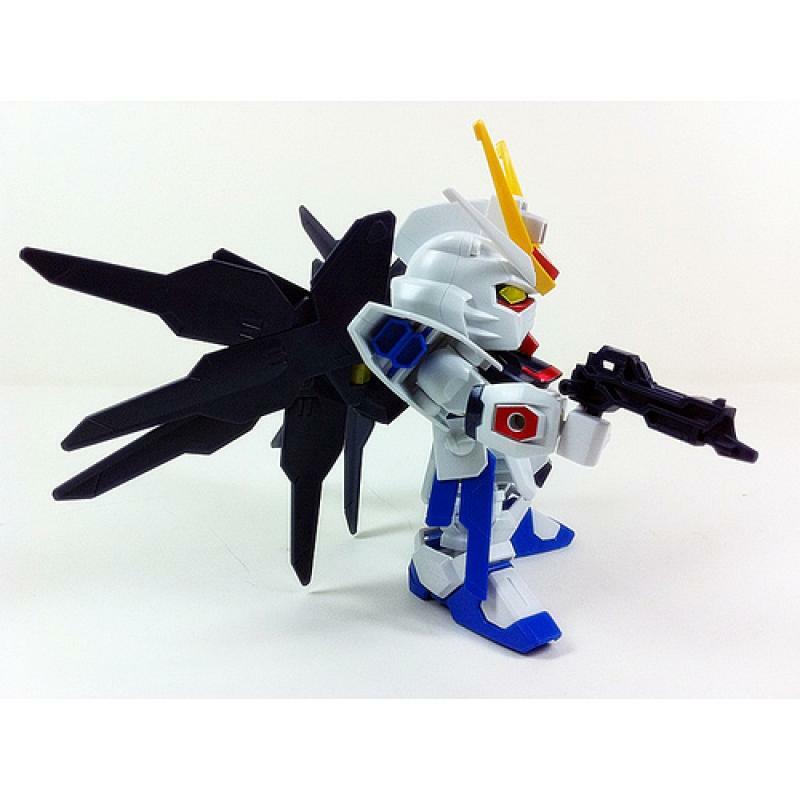 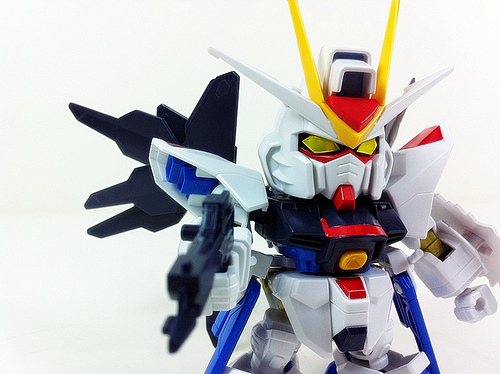 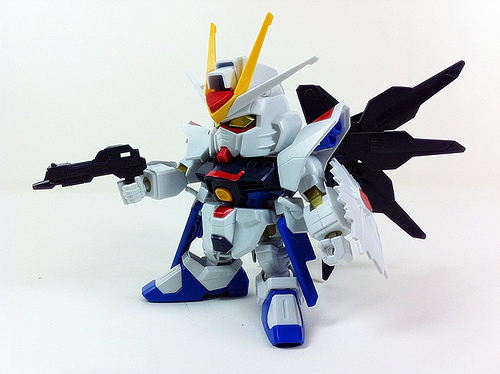 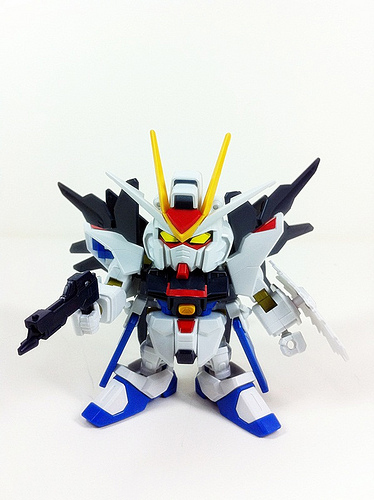 Weight: 500g The Strike Freedom Gundam gets the SD treatment; with gold-colored polycaps and bright foil stickers for detail, its pre-colored parts all snap together, so no glue or paint is required to finish it. 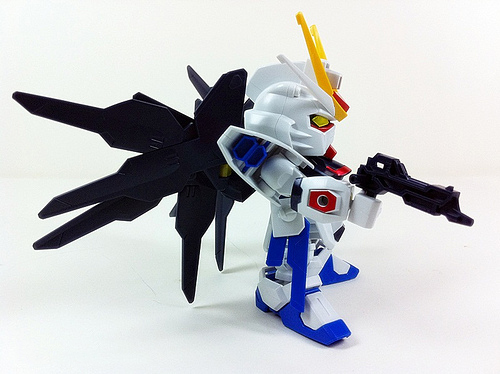 A great kit for beginners, or an evening project for more experienced modellers who just want to have some fun!